There is something about drone footage. In the past few years, drone images have shown us the inside of volcanoes, a frozen Niagara Falls from above and new points of view of familiar lands. The Irish Aviation Authority has regulations, or rules of the air, in place for both commercial and recreational drone users in Ireland. Commercial users must have licences, permissions and training, but what are the do's and don'ts for hobbyists? Are recreational users permitted to use drones in public parks, at the beach, or in their own back garden? 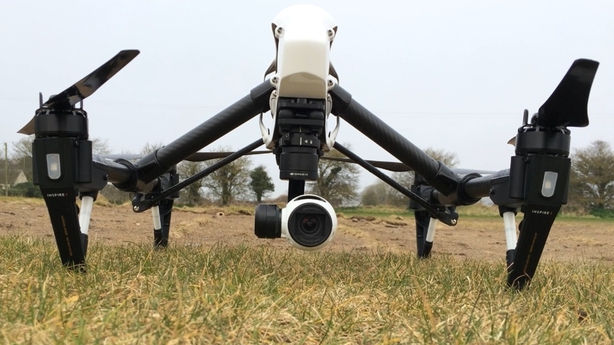 Discover more on recreational drone use in Ireland and watch some stunning footage in this interactive video by RTÉ's Patricia O'Callaghan. By touching or clicking graphics on screen, you will be able to explore more compelling content without leaving the video. The interactivity works best on modern browsers such as Chrome, Safari, Firefox and IE11 on desktop and tablet. The format is compatible with most Android smartphones but will play without interactivity on iPhones. Tell us what you think about this new storytelling format, powered by TouchCast, by emailing newsonline@rte.ie. The IAA has outlined to RTÉ News what hobbyists can and can't do. Captain Niall Cummins of the IAA said you may not fly a drone unless it is in a designated area, usually an area used by model aircraft, or in a wide open space, such as farm land, where you have the landowner's permission. The user must be able to ensure the safety of people and properties, and ensure the drone is away from obstacles, such as power lines. He said: "You may not use a drone on your own property, in your back garden, in your own town. It has to be in a wide open space where you have the landowner's permission." The rules are the same as those for model aircraft, he said. "You'd never see a model aircraft being used recreationally down the main street of your town, and the rules for drones are exactly the same." Drone users cannot use the technology in public parks, at sporting events or public beaches. "There's always a safety issue when you use these aircraft. There's always a possibility that the pilot could lose control of them. 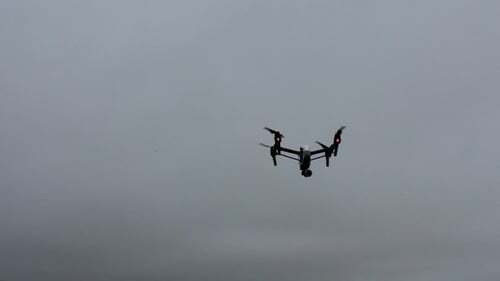 So the rule is, no, you may not use a drone in these areas," Capt Cummins said. The rules are exactly the same, whether or not the drone has a camera on board. "Having a camera on board could bring other issues, such as privacy," he said, but that is not within the IAA's remit, which is only concerned with the safety of aircraft. The European Aviation Safety Agency is working on draft legislation to cover the operation of drones, so that there will be "a level playing field" for the use of drones in member states. Drone enthusiast Damien Doyle, of Copter Shop Ireland, has a passion for drones and says Ireland is an ideal location for their use. "We're one of very few countries out there that has regulations, which will actually allow a hobbyist to fly these and also for commercial operators to fly them." He said drones are about "getting to see something that you've never seen before, at a particular angle, at a particular height. "To be able to capture that, it's just amazing. "It's just something that everybody out there wants to do. They want to get that one shot that nobody else has got before. "And for that reason, people are trying to build their own system, trying to get better cameras on to them." "For some hobbyists out there, some prefer just the technology itself – the fun of building a system, getting it built, getting it up into the air. "For other people, it's all about getting the camera footage itself, the stills, or whatever it might be." For Mr Doyle, one piece of drone footage has stood out above all others. "Footage that was captured up in Iceland into the volcano has to be the best. "To be able to fly a drone straight over the volcano and capture it as it's erupting – it just has to be the best footage out there – ever."